This thick, cheesy chowder is perfect for the first crisp days of fall. 1. Melt butter in large pot over medium heat; add peppers, onion and garlic and sauté 4 to 5 minutes or until tender. Add potatoes, cumin and salt. Melt bullion cubes in boiling water (or use premade chicken broth) and gradually add to the pot. Bring potato mixture to a boil; cover, reduce heat to low and simmer 15-20 minutes until potatoes are tender. 2. While potatoes are cooking, chop broccoli into florets. Place florets and small amount of water in microwave safe bowl and microwave on high 4 or 5 minutes until tender. Set aside. 3. Whisk together flour and milk. Stir into potato mixture and cook over medium heat, stirring constantly 5 minutes or until thickened. Reduce heat to low. 5. Stir broccoli into potato mixture. 6. Using a potato masher, mash potatoes and broccoli until most are mashed. Ladle into bowls and top with crispy crumbled bacon if desired. 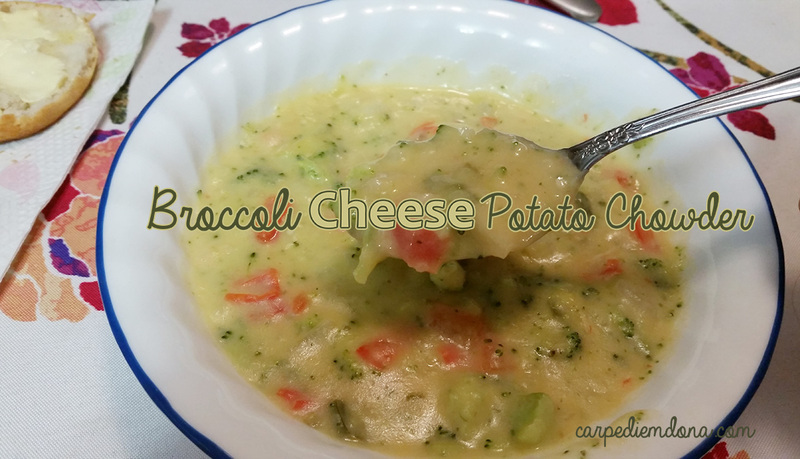 Adapted from Southern Living Queso-Broccoli Potato Chowder. To download a .pdf of this recipe, click here.